It is a performance based in the deep and essential human connection between voice, movement, and music. 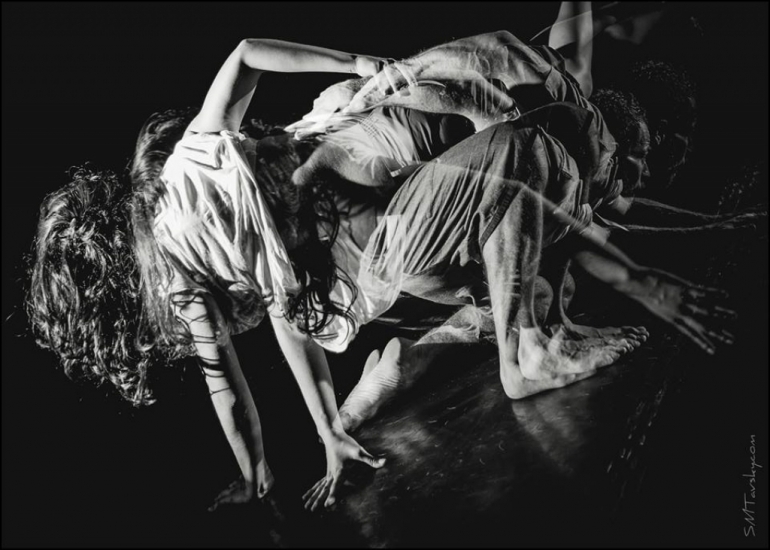 It presents an artistic connection between ancient cultures and contemporary dance. This play honors the nomadic spirit present in all of us, and is inspired by the Aboriginals of Australia who walk following the rhythms of their feet, creating songs that sing the natural world into existence. They call this, the “Songlines”. Walking and running are the foundation for the physicality of this performance, and we transform it into virtuosic dance. Singing is the foundation for the music. Through this performance, we honor the ancestors by making their essence contemporary. Walkabout Trailer (9min) from elia mrak on Vimeo.